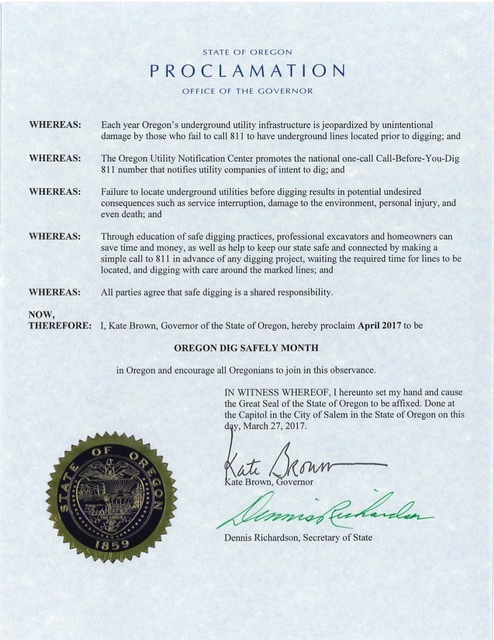 On March 27, 2017, Governor Kate Brown issued a proclamation declaring the month of April as “Dig Safely Month” in Oregon. The proclamation, in concurrence with National Safe Digging Month, reminds everyone in Oregon to call 811 before starting any digging projects. https://digsafelyoregon.com/wp-content/uploads/2015/01/Oregon-811-Logo-NEW.png 0 0 OUNC https://digsafelyoregon.com/wp-content/uploads/2015/01/Oregon-811-Logo-NEW.png OUNC2017-04-06 20:52:082017-04-06 21:02:13Governor proclaims April "Dig Safely Month"
Oregon Utility Notification Center was present at Cape Blanco and Willamette CMF this year. The new 811 Trailer provided festive give aways for the attendees at the music festivals. Thanks again to all the volunteers who worked hard and provided the message to call 811 before you dig! The third annual Locator Safety Awareness Week is June 19 – June 25, 2016. The purpose of this effort is to keep our nation’s locators safe on the job. Who:	Open to the public – All attendees welcome! 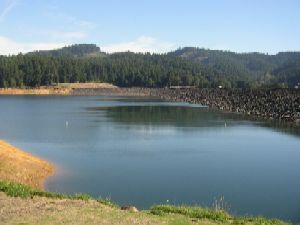 Cost: This event is FREE however you must RSVP and have a valid fishing license. There is a $6 State parking fee that you will be responsible for upon entrance to the park. Bring your own fishing pole and bait. Boats are allowed on the lake. Please RSVP your registration form to Stephanie Baxter at s2b@nwnatural.com or fax 503-220-2586. If you have questions please call Stephanie at 503-721-2470. If you do not RSVP by June 17, 2016, we cannot guarantee lunch. Portland Timbers soccer tickets, gift certificates for 2 nights of camping at PGE’s Pelton Park on Lake Simtustus, 2 nights in a cabin at Promotory Park and many other prizes will be awarded.